You are invited to attend the Adaptation exhibition on July 11-13 in Berlin, Germany. The event will kick off at 6 pm on July 11 and will be open the two following days. The venue is Agora Rollberg, a Berlin-based experimental center for contemporary practices. The perfect place for this exposition! You will get to see the four projects that have been working on their art + IoT piece since March. They have been collaborating with some AGILE partners: BioAssist, ATOS, Libelium, and Create-Net who have helped the artists with the AGILE software. 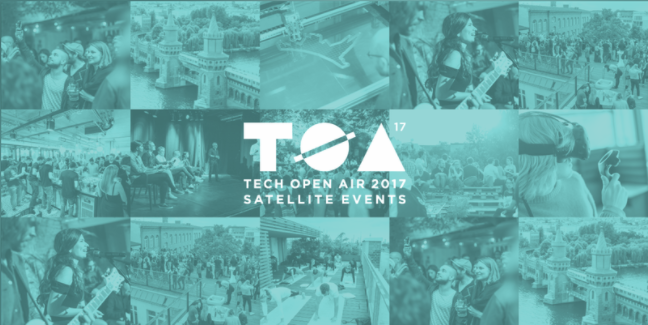 Adaptation will be hosted as a satellite event of the Berlin Tech Open Air. So that’s another excuse you can use to come around, attend workshops & talks and network. If you don’t like networking… you should attend just to see the city of Berlin! View Details and get your ticket – it’s free!